Woodworking is a great way to make a living. There are, however, problems with even this career. This week I’m posting two of my current top ten gripes. Number one on my list – this specific gripe stays at number one or number two throughout most of the year – is the safety police. If this is you, please know that it is not your job to constantly point out things that you consider too dangerous. The fact that I don’t have on safety glasses and ear protection as I work at my table saw or run a router is not the end of the world. These particular violations have been pointed out so often that we all know the rules. If you feel you need to wear glasses every time you step into your shop, then do so. Number two this week are those that hear someone state a woodworking rule, but do not hear or understand the exact meaning of that stated rule. 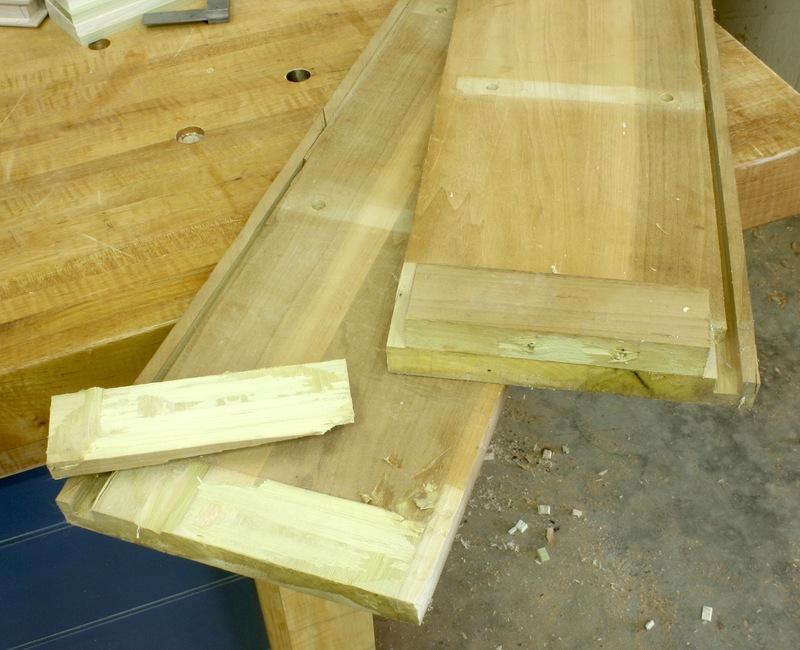 Case in point: Don’t use your table saw fence in conjunction with your miter gauge, and never glue cross grain. 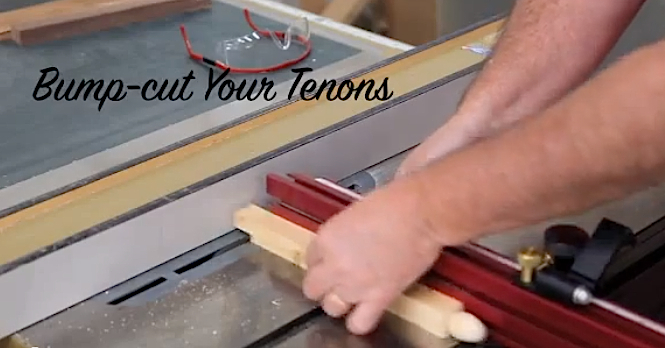 This past week I posted on the Popular Woodworking Magazine (PWM) blog about bump-cut tenons. This technique has been used for years and years – someone commented that they had seen Norm Abram use this on New Yankee Workshop. The rule that should be followed is that you should not use your table saw fence in conjunction with your miter gauge IF YOU ARE MAKING A THROUGH CUT. That last portion of the sentence is the real message. If you’re not cutting through, use your fence and miter gauge as you see fit. Another rule is that if you glue cross grain your board will split. I ran into this problem way back in another post on the PWM blog dealing with case sides in lowboys. It has also surfaced when working on the returns around slant-lid desk lids. Both can and often were glued fully. Take a look at the this photo. What you see is a torn-apart bookcase side that I assembled in 1977 or 1978. (It was a bookcase for a high school sweetheart who broke up with me before I finished the top section.) These boards have been stored in a stone-walled basement of an old farmhouse, been moved from house to house in six moves and have been stored in my garage for the last 20 years. This week I went to re-purpose the wood to knock out a couple small drawers. I tried to knock off the blocks with my hammer, then tried to hook the claw of said hammer under a corner to split the pieces apart. No luck. Finally I drove a screwdriver between the two pieces and the split was made. Please don’t blindly follow what you hear or read.